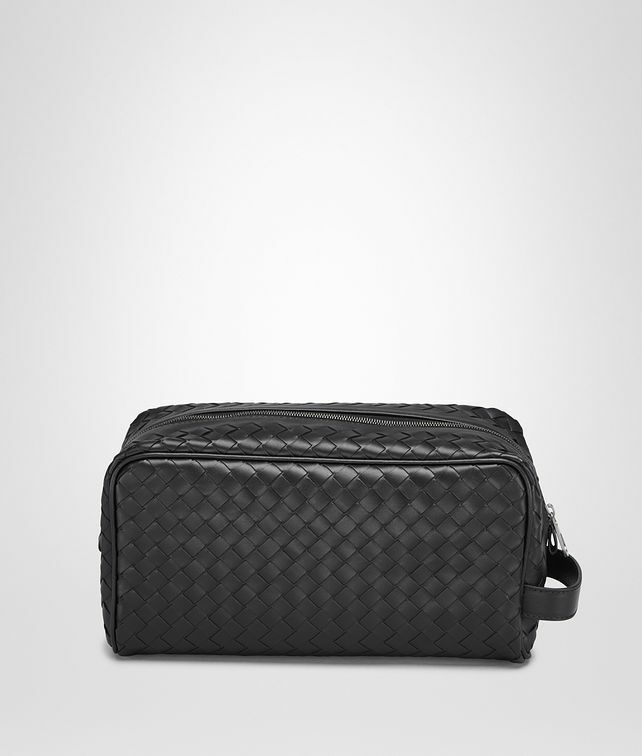 Hand-woven from VN calf leather to make it more resistant to wear and tear, this large rectangular toiletry case is a polished travel and home accessory. The boxy shape is finished with a practical smooth leather handle and piping. The zipped cotton-lined interior is fitted with a flat pocket and a zip pocket to keep everything perfectly organised. Height 10.5 cm | 4.9"
Depth: 12.5 cm | 4.1"